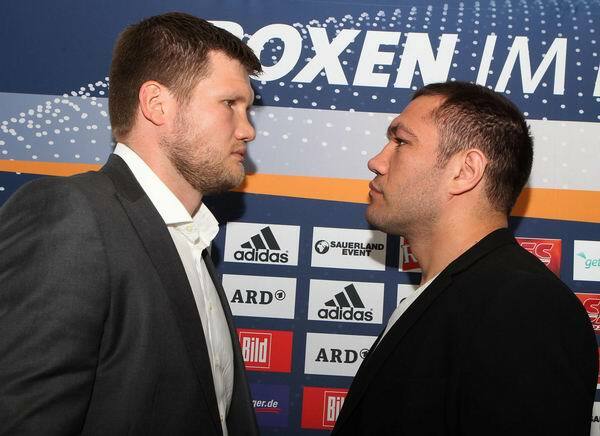 This Saturday in Germany, two top 15 ranked Heavyweights, Alexander Dimitrenko (32-1 21KO) and Kubrat Pulev (15-0 7KO) will fight for the EBU Heavyweight title. This fight will be on the under-card of the Cruiserweight title fight between Marco Huck and Ola Afolabi. For these two Heavyweights, a win is very important. It will not only see them crowned as the European Heavyweight champion, but it will increase their chances of getting a world title fight. Pulev is the big favourite for this fight, but I don't see why. He is less experienced, less skilled and a lot smaller than Dimitrenko. Pulev can't out-box Dimitrenko, so his best bet is to try and knock him out. Two fights ago, Pulev fought Travis Walker who isn't known to have a good chin, and Pulev hit him with almost every punch he threw and couldn't knock him out. So the question has to be asked, has Pulev got enough power to stop Dimitrenko? I don't think he has, I pick Dimitrenko to win a decision over Pulev. Dimitrenko has a slight chance of a stoppage. Pulev was badly cut by a punch in his fight with Travis Walker. If Dimitrenko lands enough jabs, maybe he could stop Pulev on cuts. What do you think? Will Kubrat Pulev remain unbeaten after his fight with Alexander Dimitrenko?